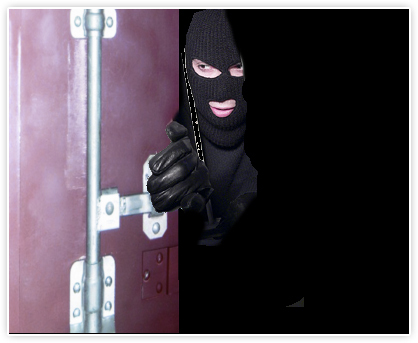 A strong locking bar or other form of barrier device can make overt break-ins to cargo containers difficult. But all conventional seals on the market are absolutely ineffective against covert break-ins – break-ins secretively perpetrated by people entrusted with the care and transportation of the container. Whether the seal is made of the hardest steel or possesses the most sophisticated electronics, they are equally ineffective against covert break-ins for one simple reason: Conventional seals do not seal the container; they seal the container’s handle to its door. As a result, when someone skilled in the technique of seal circumvention completes their break-in and cover-up, the seal can appear intact and unmolested even after a door has been opened and closed again. Due to the sensitive nature of this information, this section of our website requires access permission. To obtain permission to view this material, please contact us using the form below. Privacy notice: Sealock Security Systems Inc. does not disclose, give, sell or transfer any personal information about our visitors. We take Spam seriously. However, if you are uncomfortable disclosing certain details through this online form, you can send your request to us via regular email by clicking here. Please state in your e-mail your case for being granted permission to see the sensitive videos. Sealock Security Systems does not respond to solicitations of any kind and considers all such communications intrusive and unwelcomed. We strongly advise solicitors considering a submission via this contact form to cease and desist or be reported as spammers to the FTC.